1. (1) 1 Doug McCollough, Webster City, Iowa. 2. (4) 99 Rocky Caudle, Ellsworth, Iowa. 3. (3) 85T Brandon Toftee, Otho, Iowa. 4. (7) 85 Ben Moudry, Hastings, Minn.
5. (5) 24C Jim Chisholm, Osage, Iowa. 6. (8) 56 Ty Griffith, Webster City, Iowa. 7. (2) 75 Cole Suckow, Cresco, Iowa. 8. (6) 80J Jared Van Deest, Holland, Iowa. 2. (6) 82 Jake McBirnie, Boone, Iowa. 3. (5) 8 Bill Hoover, Duncombe, Iowa. 4. (3) 38S Paul Atchison, Webster City, Iowa. 5. (4) R31 Ryan Leeman, Roland, Iowa. 6. (7) 17X Jason Beckman, Fort Dodge, Iowa. 7. (1) 7+ Jared Timmerman, Norwalk, Iowa. 1. (1) 1 Doug McCollough, Webster City, Iowa, 20, $500. 2. (3) 82 Jake McBirnie, Boone, Iowa, 20, $325. 3. (2) 99 Rocky Caudle, Ellsworth, Iowa, 20, $270. 4. (8) 24C Jim Chisholm, Osage, Iowa, 20, $220. 5. (5) 16 Dan Hovden, Decorah, Iowa, 20, $305. 6. (7) 85 Ben Moudry, Hastings, Minn., 20, $250. 7. (10) 56 Ty Griffith, Webster City, Iowa, 20, $130. 8. (13) 7+ Jared Timmerman, Norwalk, Iowa, 20, $190. 9. (12) 75 Cole Suckow, Cresco, Iowa, 20, $165. 10. (4) 38S Paul Atchison, Webster City, Iowa, 20, $95. 11. (9) R31 Ryan Leeman, Roland, Iowa, 20, $90. 12. (11) 17X Jason Beckman, Fort Dodge, Iowa, 15, $85. 13. (6) 8 Bill Hoover, Duncombe, Iowa, 7, $80. DNS – 85T Brandon Toftee, Otho, Iowa, 0, $40. Total Laps Led: McCollough 20. Margin of Victory: 0.376 second. Time of Race: 12 minutes, 57.684 seconds (3 cautions). Points Standings: Hovden 989, Moudry 809, Suckow 689, Cole Denner 448, Chisholm 431, Jeremiah Christensen 422, Cole Christensen 406, Timmerman 398, Jared Boumeester 349, Dustin Kruse 314. 3. (4) 33 Kevin Donlan, Decorah, Iowa. 4. (2) 47 Parker Slagle, Eagle Grove, Iowa. 5. (8) 612 Mark Elliott, Webster City, Iowa. 6. (9) 2J Steve Jackson, Polk City, Iowa. 7. (3) 38C Kellie Schmit, Britt, Iowa. 8. (7) 97 Lynn Panos, Calmar, Iowa. 9. (5) 7 Jason Minnehan, Churdan, Iowa. 1. (2) 05 Brett Heeter, Kansas City, Kan.
2. (3) 44 Dillon Anderson, Decorah, Iowa. 3. (8) 14 Todd Staley, Webster City, Iowa. 4. (4) 11 Jesse Brown, Nashua, Iowa. 5. (7) 7H Phil Holtz, Manchester, Iowa. 6. (6) 4ORD Bob Sutherland, Blairsburg, Iowa. 7. (5) 13G Craig Graham, Webster City, Iowa. 8. (1) 87 Dylan Suhr, Waterloo, Iowa. 1. (2) 14 Todd Staley, Webster City, Iowa, 20, $725. 2. (8) 33 Kevin Donlan, Decorah, Iowa, 20, $420. 3. (15) 97 Lynn Panos, Calmar, Iowa, 20, $450. 4. (4) 44 Dillon Anderson, Decorah, Iowa, 20, $350. 5. (17) 7 Jason Minnehan, Churdan, Iowa, 20, $200. 6. (10) 7H Phil Holtz, Manchester, Iowa, 20, $165. 7. (11) 2J Steve Jackson, Polk City, Iowa, 20, $230. 8. (9) 11 Jesse Brown, Nashua, Iowa, 20, $200. 9. (7) 612 Mark Elliott, Webster City, Iowa, 20, $110. 10. (14) 13G Craig Graham, Webster City, Iowa, 20, $100. 11. (13) 38C Kellie Schmit, Britt, Iowa, 20, $95. 12. (1) 32 Derek Green, Granada, Minn., 20, $165. 13. (5) 11K Darrin Korthals, Rock Rapids, Iowa, 20, $155. 14. (12) 4ORD Bob Sutherland, Blairsburg, Iowa, 20, $80. 15. (16) 87 Dylan Suhr, Waterloo, Iowa, 20, $135. 16. (3) 05 Brett Heeter, Kansas City, Kan., 12, $130. 17. (6) 47 Parker Slagle, Eagle Grove, Iowa, 12, $75. Lap Leaders: Staley 1-16, Donlan 17-18, Staley 19-20. Total Laps Led: Staley 18, Donlan 2. Margin of Victory: 0.437 second. Time of Race: 17 minutes, 46.833 seconds (2 cautions). Points Standings: Anderson 745, Green 709, Panos 681, Jackson 528, Brown 509, Korthals 492, Dean Cornelius 468, Mitch Hovden 465, Kyle Falck 462, Heeter 438. 1. (2) 85 Seth Janssen, Ogden, Iowa. 2. (6) 7B Eric Stanton, Knoxville, Iowa. 3. (3) 01F Jeff Fink, Denison, Iowa. 4. (5) 18 Ryan Bolland, Fort Dodge, Iowa. 5. (7) 10 Danny Sassman, Fort Dodge, Iowa. 6. (8) 89 Dakota Feickert, Webster City, Iowa. 7. (4) 10D Brian Derry, Collins, Iowa. 8. (1) 11G Jayden Glenn, Stratford, Iowa. 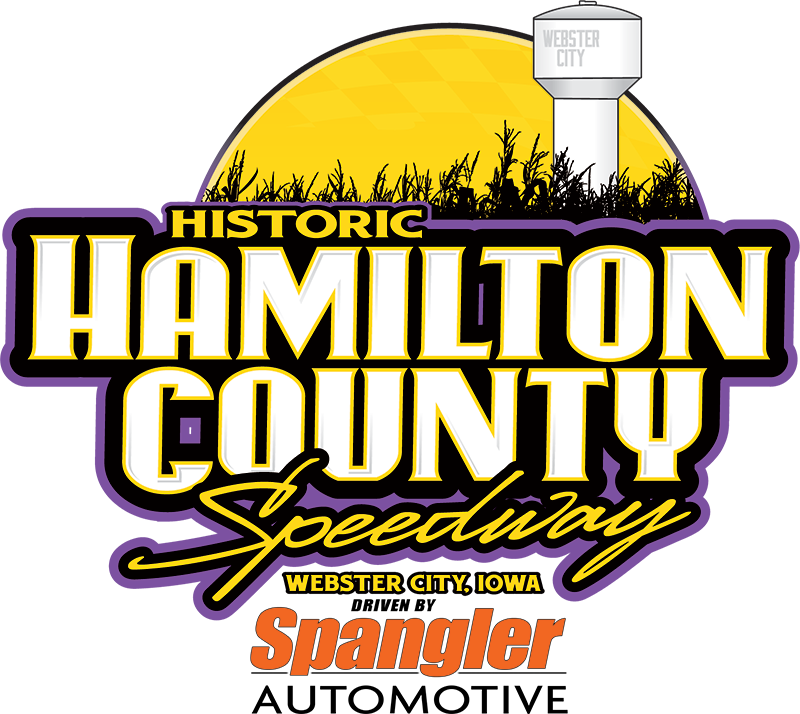 DNS – 49 Brayden Henely, Webster City, Iowa. 1. (2) 85 Seth Janssen, Ogden, Iowa, $400. 2. (1) 89 Dakota Feickert, Webster City, Iowa, $200. 3. (7) 10D Brian Derry, Collins, Iowa, $175. 4. (3) 18 Ryan Bolland, Fort Dodge, Iowa, $140. 5. (4) 01F Jeff Fink, Denison, Iowa, $120. 6. (5) 7B Eric Stanton, Knoxville, Iowa, $100. 7. (8) 11G Jayden Glenn, Stratford, Iowa, $90. 8. (6) 10 Danny Sassman, Fort Dodge, Iowa, $80. DNS – 49 Brayden Henely, Webster City, Iowa, $50.